Moodle's External applications, such as Kaltura, often depend on a working Adobe Flash version. This article details browser specific support to help alleviate problems with Flash Player. 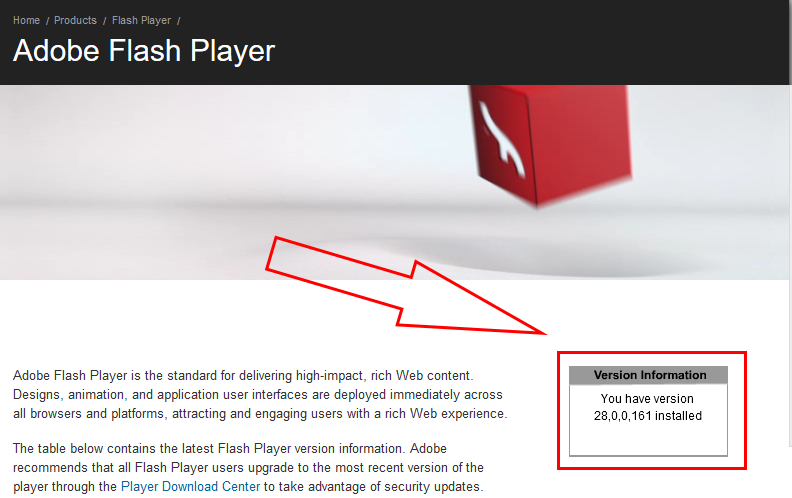 The first step you should take is to visit http://get.adobe.com/flashplayer/about/. This link should display an animation as well as a small white box that tells you which version of Flash is installed. If this box does not show up, your Flash is not currently working. For more specific help based on your browser, please see below. To install or update Flash, please see the dedicated article for Firefox at https://support.mozilla.org/en-US/kb/keep-flash-up-to-date-and-troubleshoot-problems. A few common issues will be outlined below. Flash not working - Ensure Flash is enabled by clicking the Menu button and choose Add-ons. In the Add-ons Manager tab, click the Plugins panel. If Flash is disabled, select Always Activate in the drop-down menu. Flash works in Chrome but not Firefox - To use Flash in Firefox, you must download it as an add-on for Firefox. For instructions on how to do so, check the article at . "The Adobe Flash plugin has crashed" - Please see troubleshooting steps at https://support.mozilla.org/en-US/kb/adobe-flash-plugin-has-crashed. Unresponsive plugin warning - Please see troubleshooting steps at https://support.mozilla.org/en-US/kb/warning-unresponsive-plugin. Playing Flash makes Firefox stop responding - Try pausing Flash in other tabs, or closing them. You may also need to update Flash, disable hardware acceleration, update your graphics drivers, or disable Flash protected mode. Please see https://helpx.adobe.com/flash-player/kb/enabling-flash-player-safari.html for steps on how to enable Flash for Safari.